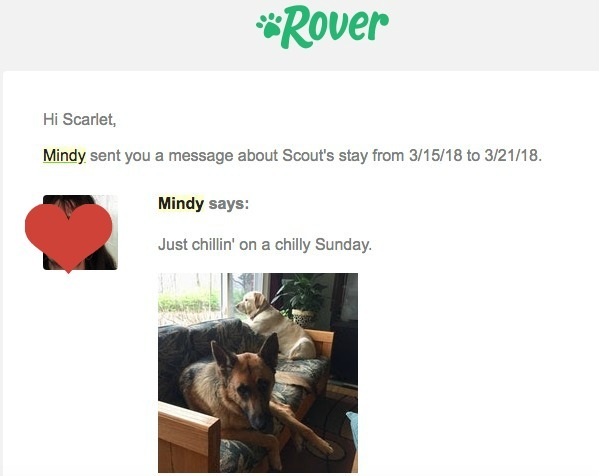 I use Rover to find local dog sitters. I discovered this online source for dog sitters when it was DogVacay and I used it then. It has now joined forces with Rover to create the nation’s largest network of 5-star pet sitters and dog walkers. I love to vacation with my dog but sometimes that is just not feasible, like when I go skiing. That is when Rover comes in handy to find local dog sitters! I will share with you here a bit about why I use Rover to find local dog sitters as opposed to other sources as well as how Rover makes it easy to start a dog sitting business. I will also share an affiliate Rover link that will get you $20 off your first booking here. I have been a long time dog owner. We always had a German Shepherd or two growing up and even before I married my husband, we had fur babies. Being that we love to travel, we have always used a dog sitter. I found with two dogs and with lengthy trips away from home, having a dog sitter was the most economical and I preferred it for my dogs anyway. I love dog sitters because my dogs get plenty of personalized care. German Shepherds are a higher anxiety breed that really miss their owners and really need a lot of attention and stimulation. Having a few good local dog sitters to turn to helps make my vacations more enjoyable because I don’t have to worry about my dog Scout. 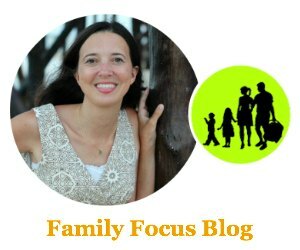 Find The Best Dog Sitter! 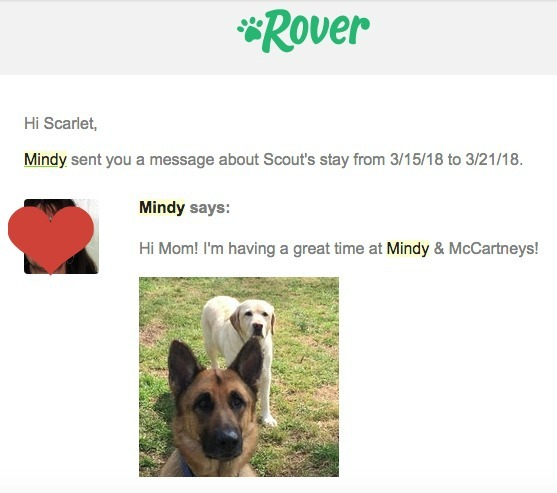 Finding local dog sitters that you can trust is key ingredient to a happy dog boarding experience and that is why I love Rover. I love that each local dog sitter creates a profile and you go the website and sort pet sitters by the type of sitting you need- home dog sitting or dog walking, or dog boarding. Then you can put in your zipcode and get a list of all the local dog sitters. Next you can sort them by dog sitting prices and most importantly to me you can see their dog sitter reviews. I have to know my pooch is going to be a happy dog. It helps give me peace of mind. I also love that you can sort by has fenced yard, allows dogs on furniture, accepts only one client at a time- whatever is important to you. I have found two wonderful dog sitters that are my go-to-dog sitters through Rover because sometimes one is booked or vacationing at the same time that I am. I love that they send me photos of my dog so I can see that he is happy and having a good time too. With 10,000+ cities, 140,000+ sitters, and 95% 5-star reviews, Rover has millions of services booked and thousands of wagging tails! They carefully select dog sitter Hosts and all Hosts must maintain a 5 star review in order to stay in the community. As you can tell from what I have just told you about how they select the best dog sitters, Rover is perfect for finding dog sitters you can trust. In fact, Rover has been featured in MSNBC, Fast Company, and Forbes. With this affiliate Rover link, you will get $20 off your first booking at Rover.com! You can even schedule a meet ‘n greet to meet your dog sitter host, before you book online. Want To Earn Money From Home With Rover Dog Sitting Jobs? Have you been reading this and thinking being a Rover dog sitter host is a fantastic way for dog lovers with flexible schedules to make some extra money? Well, you are right. Watching just a few pets each month can translate into hundreds of dollars in extra income. What better way is there for a dog lover to make money from home than watching adorable pups? 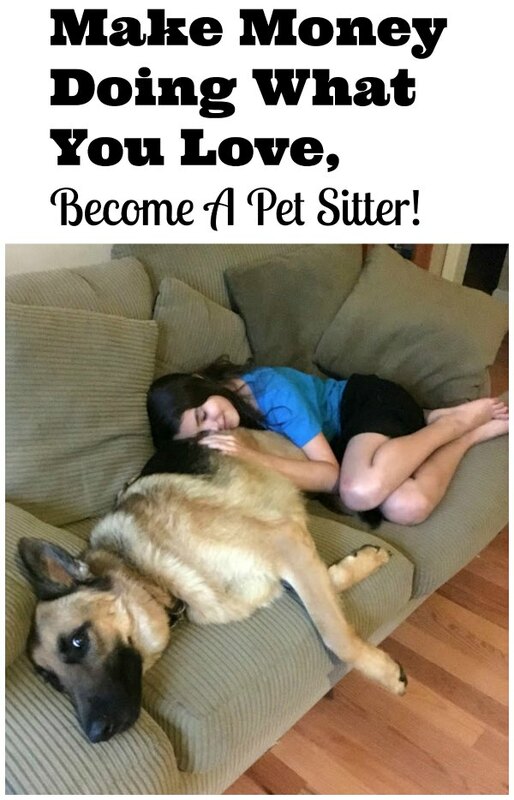 I think being a Rover Pet Sitter would be a great way for stay-at-home moms (and anyone with a flexible schedule) to make money from home and be able to spend more time with their families, pay for school, and/or save up for travel. Who can get dog sitting jobs? Any dog lover! Rover makes it easy to earn money watching pups. Simply create a free profile, set your own rates, decide which dogs to take and when to take them. The Rover 24/7 Support team is dedicated to helping you with everything from changing profile pictures to handling emergency situations. Find out more about how to become a pet sitter here. So whether you are trying to find local dog sitters or want to become a dog sitter and earn extra money from home- I think you will be glad you found Rover. Do you plan to try out their dog sitting services? I’m a bit confused. You mentioned DogVacay in the middle of the text, is that the same company? 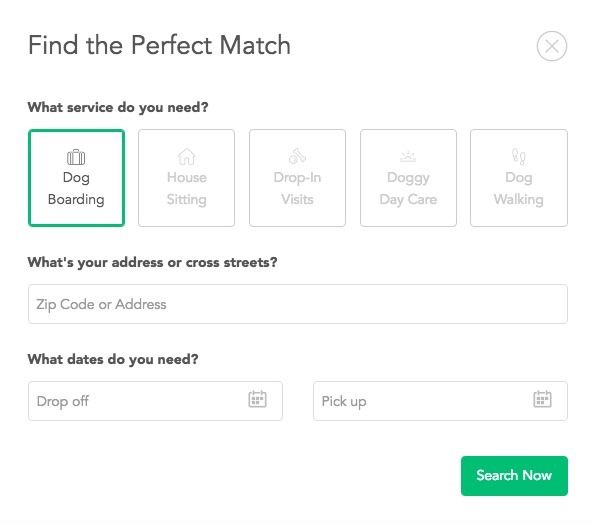 When I first started using them, they were DogVacay but they merged with Rover to create an even more extensive network of dog sitters to make it even easier to find a dog sitter near you. I still love the easy to use interface and excellent communication.